To get the most out of your hearing test, you must come away with a clear picture of the options open to you. This means understanding the nature of any hearing deficit and its effects in the short and long term. Only by grasping these facts can you make an informed decision about what’s best for you. Here are our suggestions of important questions to help you make the best choices for your hearing health. 1. What pitches do you struggle to hear? The hearing test builds up a detailed picture of the volume and frequency of sound you struggle to hear. For example, the higher frequencies often slip out of range first, which makes children’s or women’s voices more difficult to hear. Rather than be told what hertz you struggle to hear, ask the hearing specialist to give you real life examples of the sounds lost to you. 2. What is the underlying cause? It’s easy to jump to the conclusion that hearing loss is age related, but this isn’t always the case. 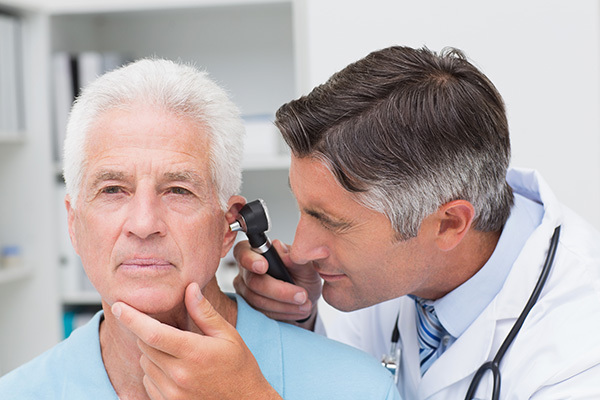 Check back with the hearing care provider to ensure there are not medical problems (such as heart disease or diabetes) that could impact your ability to hear. Treating these pre-existing conditions more effectively may slow deterioration of your hearing, which is worth addressing for the future. Likewise, if the hearing loss is due to exposure to loud noises, it’s vital to have a discussion about protecting your ears in the future. 3. What happens if you do nothing? A valuable question is “What if I do nothing?” You may feel you can cope with the existing level of hearing loss, but what are the implications for other areas of your life? Impaired hearing does have an impact on mental and physical health. Also, correcting hearing loss while it’s still mild can delay deterioration. Don’t jump to the conclusion that your issue is too mild to need treatment, without fully discussing all the implications with the hearing professional. 4. What is your advice? A hearing care specialist is a medical professional who is extremely knowledgeable and ideally placed to assess the best solution for you. The hearing provider will give you honest, unbiased advice, so it’s at least worth listening to what they have to say. If they suggest it’s time to embrace enhancing your hearing with a device, but you feel uneasy, then discuss your concerns with them. Their training enables them to find solutions to problems. All your feedback is valid and valuable information, which enables them to propose the ideal device to meet all of your stipulations – be that cosmetic, utilitarian, or financial. Remember, you don’t have to make any decisions there and then, but do walk away with all the information you need to make an informed choice.